When you love your pet as your friend or child, it is quite tough for you to travel without them in vacations. 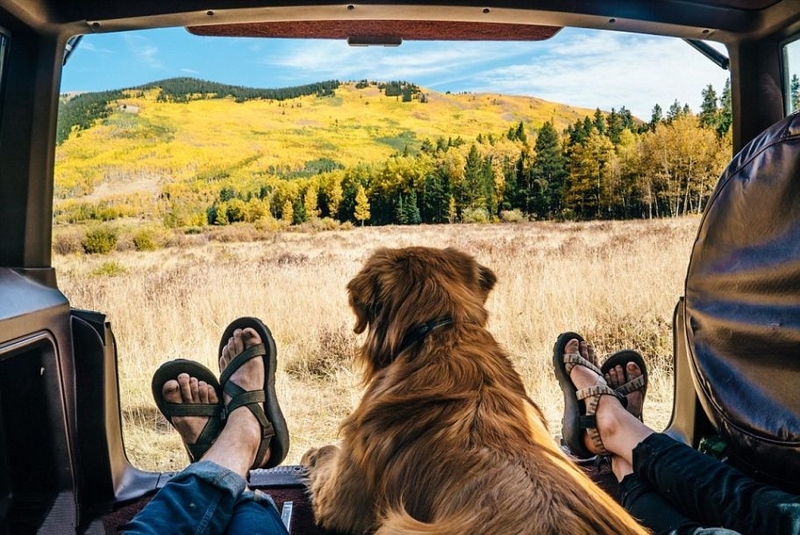 You must be eagerly waiting or planning for your holidays, but the first question came into your mind, how to keep your pet along with you, just because your vacations are incomplete without your pooch. When you are going for a vacation, traveling with your pet can be a stressful experience as you have to face many troubles during traveling. You can look for many service companies to make your travel stress free and enjoyable with your pet. Such services offer dog bowls, plush fleece dog bed, sanity bags and other entertaining services like dog treats for your pet after a long flight journey. You should be thankful for the new traveling rules and services that include booking tickets to the hotel room to catering for your friend or family member. It has become as easy as making a call from your phone or just gossiping. Traveling by air in itself is a complicated procedure and adding your pet to the travel makes things even more complicated. You can make it easier with a little extra planning when you travel with a dog, hiring a professional transporter would be a great idea and especially when you are traveling internationally. You can make the things doable, whether your pet is small enough to travel in cargo or cabin area. It is always better to feed your pet before departure because many airlines are very restricted with their policies that they do not allow to feed. Airlines provide traveling guide and policies for pets on their customer executive desk, official websites and you can also found details by calling customer care support services. If your pet is only comfortable with traveling in the car then it will be tough for them to travel in cargos and planes. You just need to take them out and get them familiar with every environment, because it will be complicated they didn't get used to of the environment. Take them out for walking and hiking, because physical fitness is the most essential to adapt different situations. Don't try, if you are exploring local or regional cuisine, then it is not necessary that your dog will be going to like it. Stick them with their regular food because any experiment can result in diarrhea or physical illness. These are some basic and necessary tips while you plan to spend vacation and travel with your pet.